You are here: Home / Learn / Greener Grass? Hanh was just 18 years old when she arrived in Taiwan to meet her new husband. Her parents received $3000 as a dowry – a fortune to a poor farming family like theirs. But Hanh was shocked – her husband was much older and a widower. They had been ‘matched’ through an agency which had already sent over 120,000 Vietnamese women as brides to Taiwanese men. Hanh now has 3 children. They speak Taiwanese at home and at school. She still struggles to communicate in Taiwanese and she longs to share her Vietnamese heritage with her children. Hanh works long hours in a factory, where her poor Taiwanese doesn’t matter. She had hoped for a better life, but it has not turned out as she imagined. Increasing numbers of Vietnamese are travelling overseas not only as brides, but as students and professionals. Though some aim to settle permanently overseas, many plan to return home after a few years, These overseas Vietnamese have differing attitudes to Vietnam. Many who left Vietnam when the Socialist Republic was formed are still quite negative about the country. And the small number returning as Christians often find integrating into the Vietnamese Church a challenge. 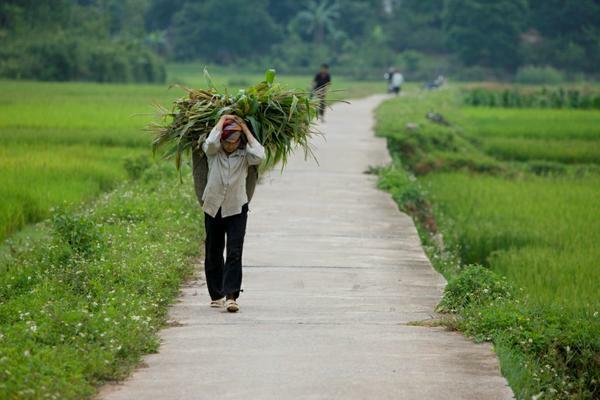 Up to 1 million Vietnamese refugees and their descendents still remain dispossessed in Cambodia, with no right to Cambodian nationality and not recognised by Vietnamese authorities. Ostracised from Cambodian society, treated with suspicion, they have no access to education or healthcare and live largely in extreme poverty. Praise for the increasing opportunities to minister to Vietnamese in countries such as the US, UK, Singapore and Australia. Pray for Vietnamese working or studying abroad, to find the Lord there, and to return to Vietnam, equipped to share the gospel. Pray for those Vietnamese who struggle to live in new cultures, separated from family support and feeling isolated.